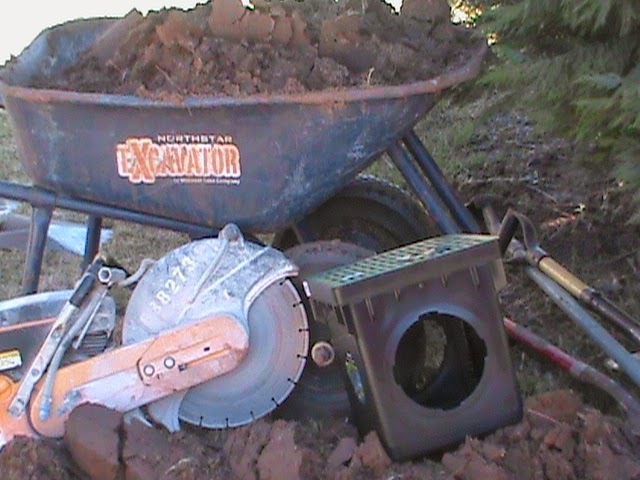 Oklahoma City Lawn Sprinkler and Irrigation, Sprinkler Repair, French Drain, Drainage Systems. This is much better than dragging hoses around! Servicing Central Oklahomaincluding: Oklahoma City, Norman, Edmond, Midwest City, Del City, Yukon, Mustang, Moore, Norman, Purcell, Newcastle, Blanchard and surrounding areas. For an additional charge we will travel outsideCentral Oklahoma. CMG has installed Sprinkler Systems and Drainage Systems as far away as Ardmore, Altus, or Tulsa. Oklahoma City Lawn Sprinkler and Irrigation — CMG Sprinklers and Drains has installed New sprinkler systems for both commercial and residential customers since 1993. 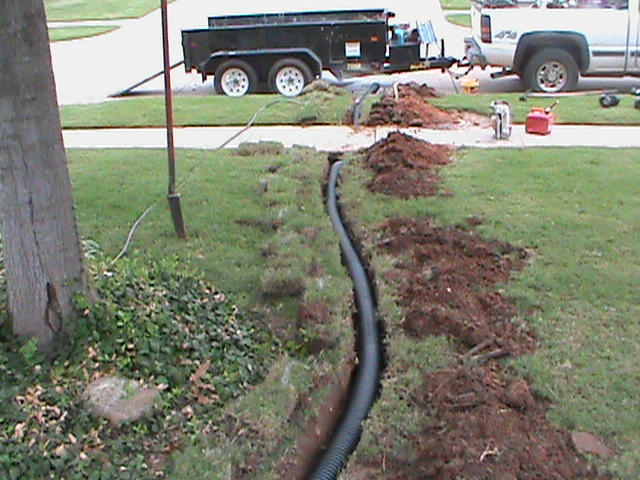 We also solve drainage problems with the installation of French Drains, Surface Drains, and Channel Drains. Give us a call for a free estimate. 405-226-0629 Now accepting credit cards. French Drains can look great! Now is a great time to have a sprinkler system checkup. CMG can check out your sprinkler system. 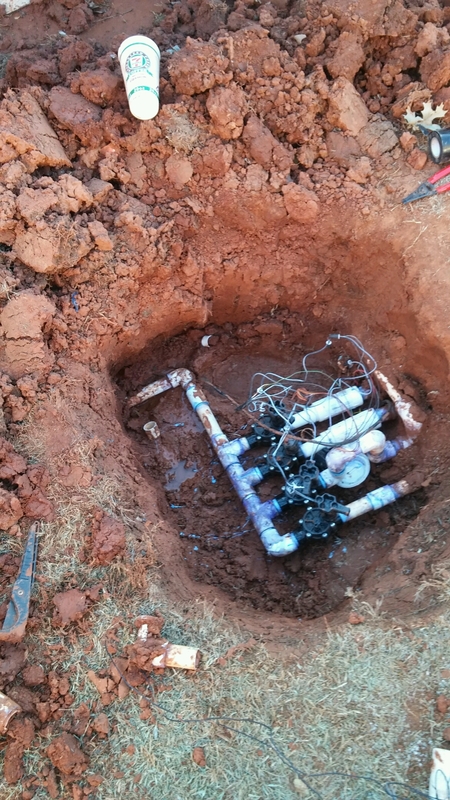 We can quickly diagnose your sprinkler system problems and provide expert sprinkler repair. Experience matters concerning sprinkler repair. CMG has provided sprinkler repair since 1993. Ask about our package Sprinkler Discount! Hopefully 2012 wont be as hot as 2011. Record heat for Central Oklahoma caused the death of trees, shrubs, and grass all over the state. 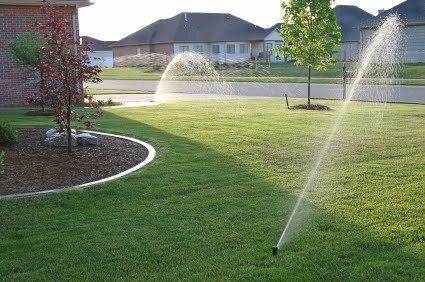 A new Lawn Irrigation System installed by CMG can help solve these problems. Sprinkler Systems water much faster and more efficiently than dragging hoses around all day to water your yard. Our Sprinkler Systems are Self-Draing. The Sprinkler Pipes Drain underground when the Irrigation System is turned off. Nothing needs to be done to prepare your Irrigation System for winter except turn it off. There is no water left in the Sprinkler Pipes to Freeze. The above are the most common problems that we deal with. CMG Sprinklers and Drains – can help if you need to re-design your sprinkler system. If for example you are adding a swimming pool in your back yard, we can move the sprinkler heads and sprinkler pipes to fit the new dimensions of your yard. We can redesign or add-on to sprinkler systems where the home owners needs change. Check out our other Web Sites! 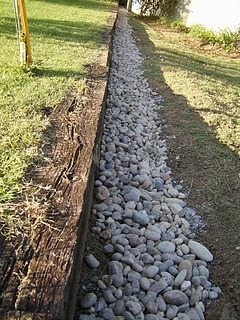 Oklahoma City French Drain — Sprinkler Repair, Sprinkler Installation, Edmond, Norman.